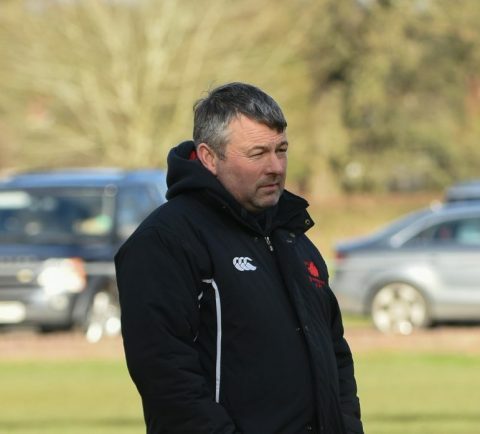 DIRECTOR of rugby Dan Protherough is looking for an immediate response from his players after Bromsgrove’s 100 per cent start to the season was brought to an end at the weekend. The Boars make the trip to Old Halesonians on Saturday looking to get back to winning ways after their seven-game winning run was halted by Warwickshire outfit Newbold, who ran out 20-15 victors last Saturday. Newbold, who have now won all eight of their fixtures, leapfrogged Bromsgrove back into first place in the Midlands One West standings but Protherough pointed out there was plenty of rugby still to play before anything was decided. “It was just one of those days where we did not get the rub of the green,” he said. “However, as long as we can bounce back this weekend then it doesn’t really matter that much as it’s a long old season. Nothing is won or lost yet. “Old Hales will be another very tough test for us, especially with a few of the lads carrying bumps and bruises due to the physical nature of the Newbold game. Josh Holt and Ethan Priest bagged the tries for Bromsgrove who were always chasing the game after conceding a try within the first minute. Will Harris kicked a conversion and a penalty to complete the scoring. Despite the defeat, Protherough remained upbeat. “We were really unlucky and I think the conditions suited Newbold perfectly,” he said. “Overall I was pleased with how we played but sometimes the performances don’t marry up with the scoreline and that was exactly the case. “We showed great endeavor and our effort was fantastic but we were just lacking a little bit of luck.